Neu Records participates in the Cicle Out.Side with two sound installations at Centre d'Arts Santa Mònica between the 14th and the 16th of July, as part of "L'Escolta", a project about unconventional ways of musical perception. 14 seassions for 5 listeners only (each session) to show two of our most recent 3D projects: "the so-called laws of nature" by David Lang, performed by Frames Percussion, and "Homenaje a Martha Graham" by Ramon Humet. 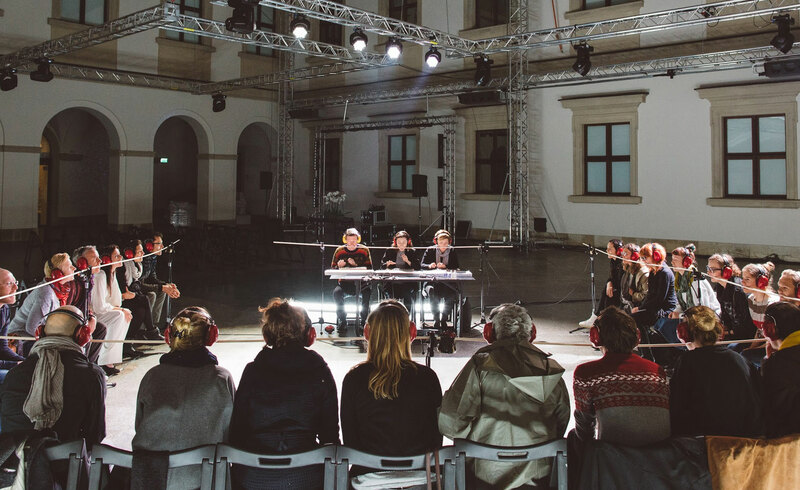 The auditions are combined with the live performance of "C" by Simon Løffler, for 3 small glockenspiel heard through the teeth by both audience and musicians. "C" are performed by the composer and Frames Percussion. Neu Records participates in the Cicle OUT.SIDE with two sound installations at Centre d’Arts Santa Mònica between the 14th and the 16th of July, as part of “L’Escolta”, a project about unconventional ways of musical perception. 14 seassions for 5 listeners only (each session) to show two of our most recent 3D projects: “the so-called laws of nature” by David Lang, performed by Frames Percussion, and “Homenaje a Martha Graham” by Ramon Humet. The auditions are combined with the live performance of “C” by Simon Løffler, for 3 small glockenspiel heard through the teeth by both audience and musicians. “C” are performed by the composer and Frames Percussion. Neu Records sound installations are presented in an immersive 3D format that takes a new approach to sound situations, using 3D recreation of an acoustic space. The installations combine a hyperrealist sound aesthetic, in terms of perception, and the creation of a new musical situation specifically conceived for surround sound recording systems in collaboration with composers and performers. The sound installations conceived by N, the music production company linked to the label, transforms the concept of diffusion in the field of recorded sound, placing the albums of the Neu Records at the point of active intersection between recording, sound art and concert performances. We thus provide a social dimension to the experience of listening to recorded sound while making a case for the reinstatement, in the twenty-first century, of a specific space for the ritual of listening to music.